Come on, be honest. As adults, we all know that there is really no such things as magic. 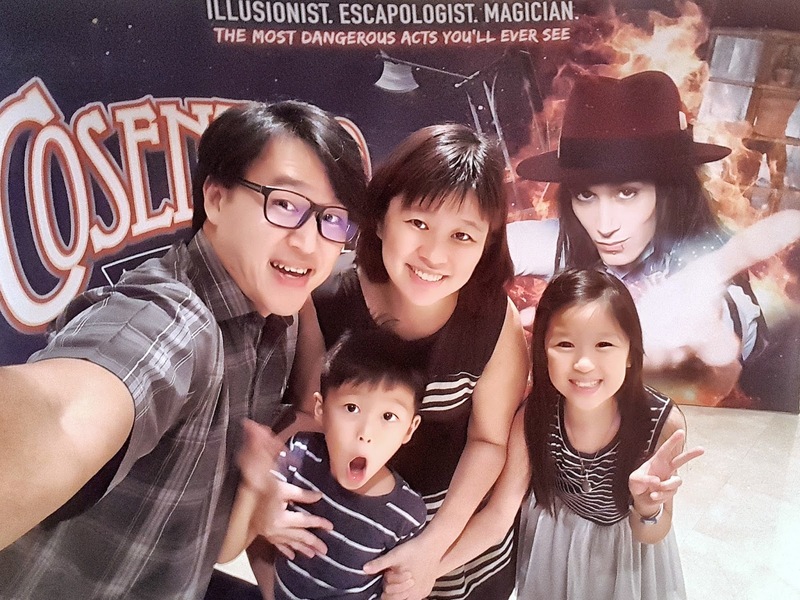 With every magical trick performed, there has to be a way why it happened the way it did. Hence whenever I watch any tricks being performed, I will definitely try to look out for some from of slip-ups or tell-tale signs. With television programmes, I am even more skeptical because it is possible to edit the footages to show or not to show something. 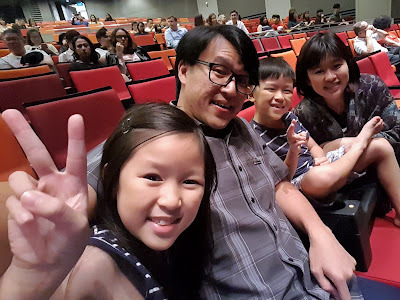 Watching magic performed live however, is a totally different experience altogether. Getting excited for the big show! I am not going to pretend to be a know-it-all, because I only got to know who he was yesterday. But watching his performance was really a treat for me, and the family as well. I hadn't watched many magic shows to date, but I can say his acts were all really well-choreographed and he is definitely a consummate performer. 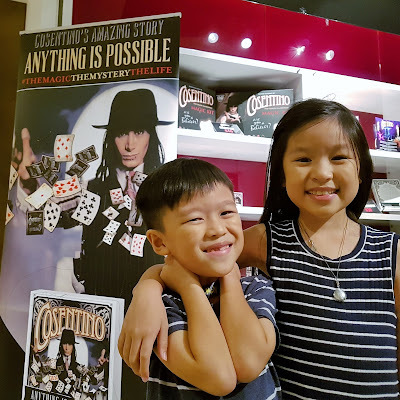 The magic tricks performed were variations of what you and I would have watched at some stage of our lives, be it card tricks, levitation etc but he does credit the great magicians these tricks originated from. 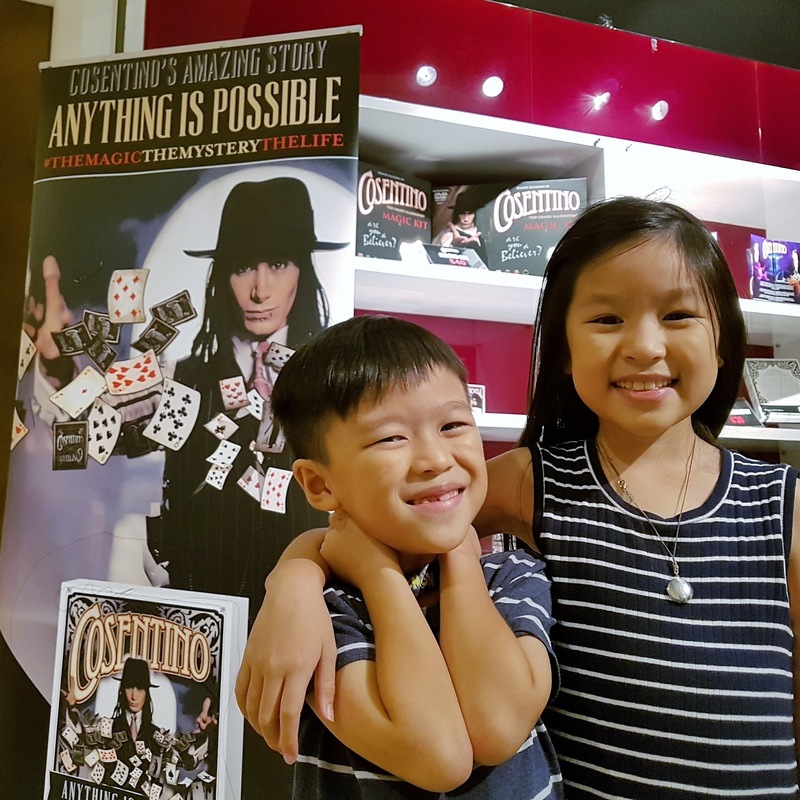 There are lots of merchandise, including a box of over 100 magic tricks! 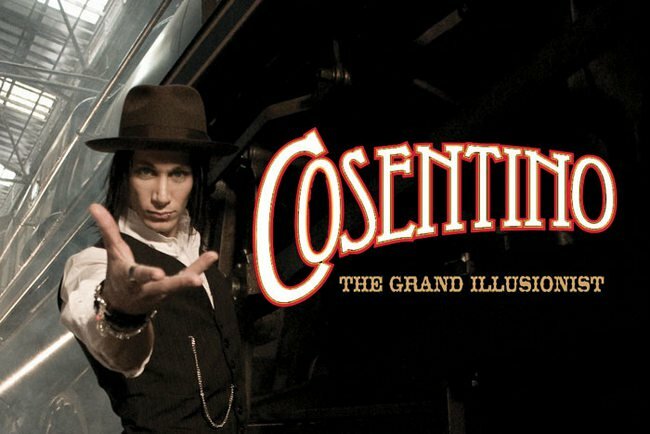 Despite the fact that these acts were not originals, watching them being performed live and in Cosentino's personal style was still exhilarating for all the audiences present, eliciting lots of wows and applause. Some acts where simply unbelievable to say the least and I can never figure out what sort of trickery was being used to teleport him to places or to change the money denomination under the watchful eye of the audiences and camera. I tried and failed to find any loopholes. And for the kiddos, how not to believe in magic after this show? Since he is performing now in Singapore, it would be a good time to catch this great Australian illusionist and escape artiste in action before his last performance on Sun, 27 Aug 2017. His great escape finale will also make you hold your breath! In case you are still hesitating, note that there are only a few more shows left and prices go as low as $35 for NSF and Seniors!